A wetter than average spring encouraged strong vine growth and provided good soil moisture to help the vines through summer’s record daytime temperatures and prolonged heatwaves. Our typical warm days and cool nights returned in autumn which slows ripening and preserves delicate flavours. Above average rainfall in March presented some challenges for harvest and required careful timing of picking (i.e. to minimise water retention in the grapes) but disease pressures were minimal. Dry style in the typical Canberra Riesling fashion. Fresh, crisp acidity with crunchy green apple and lemon lime flavours. Created from fruit exclusively from the Vintner’s Daughter vineyard. Oysters, seafood, pasta or risotto. Spring was exceptionally warm reaching 30˚c on 23 September ( a new record) which encouraged bud burst a week later. This was followed by a very wet start to summer and a freak hail storm in January which reduced the quantity of the crop but fortunately quality was not affected as the grapes were too hard and small to split. Weeks of heatwaves in January are becoming a common occurrence now but we are fortunate that our old vines with their deep roots are resilient to these conditions only needing minimal night watering to survive the 35˚c plus temperatures. Autumn was warmer than average but nights were chilly preserving fruit flavour. The fruit was hand-picked in the early morning while still cool. Dry style Riesling with citrus blossom, crunchy green apple and pear, lime cordial and flinty minerality. Created from fruit exclusively from The Vintner’s Daughter vineyard. A wet spring in 2016 saw good foliage growth so much so that thinning was necessary to ensure optimal airflow through the canopy. A hot summer aided ripening and soil moisture levels were good meaning that little supplementary water was needed. Conditions leading up to harvest were hot and dry – optimal conditions for disease-free fruit. The fruit was handpicked at the end of March and processed on-site. A wild ferment occurred in one small batch but the rest of the fruit was fermented with cultured yeast. About 30% was fermented in whole bunches—this is where fermentation is allowed to occur inside the berry. All of these techniques contributed to complex flavour development and aromatics. The wine was pressed to a mixture of French and American oak casks for 12 months maturation. “Old World” style pinot—a beautiful robust wine with raspberries and cherry fruits, balanced oak flavours and a spicy earthy undertone. Hints of cloves, violets and dried herbs in the bouquet. A lingering savoury finish. pork, duck, quail and other game meats, mushroom risotto or pasta. After budburst in early October, a wetter than average spring encouraged strong Merlot leaf growth and provided good soil moisture. This dense canopy and soil moisture helped the vines through summer’s record daytime temperatures and prolonged heatwaves. Rain in autumn caused some delays to harvest as we needed to ensure that the grapes were sweet and concentrated – with no dilution of flavour due to water uptake. Harvest occurred in late March. The wine was fermented in open stainless steel fermenters and plunged daily by hand to extract maximum flavour and colour from the skins. A wild ferment was allowed to occur in one tank which added to the complexity of the final blend. The grapes were pressed in our stainless steel basket press and matured for 12 months in a mixture of French older oak casks to add to the complexity on the palate. Merlot tends to be fruit dominated and lower in tannins and acidity than other red wines such as Cabernet. Soft and silky, yet with complex flavours from the wild ferment and the mixture of oak used during maturation. Berry fruits, dried herbs and mocha on the palate with a smooth finish. 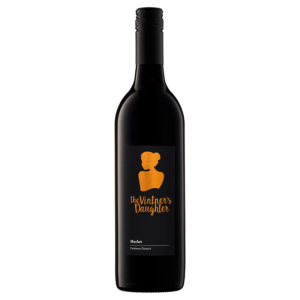 The Shiraz Viognier blend is well-established in Australia and particularly the Canberra District where it has acquired legendary status. And rightfully so. It seems an unlikely pairing—a red and white grape—but it is in fact a perfect match with Viognier increasing the fragrance and complexity of the final wine. 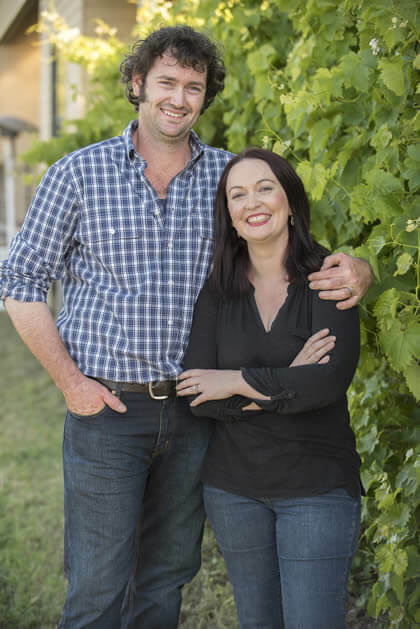 After purchasing the property in 2014, Stephanie and Ben were delighted to find established Viognier vines and several distinct blocks of Shiraz thriving in the ancient granite based volcanic soils. This is their third Shiraz Viognier vintage. Climatic conditions during the 2017 vintage posed some challenges but with careful vineyard management the vintage ended up being outstanding. The wettest spring in 16 years encouraged strong leaf growth and provided good soil moisture which helped the vines through record daytime temperatures and prolonged heatwaves in summer. Rain in autumn caused some delays to harvest which occurred in late March. We selected our furthest western block of Shiraz for this blend due to the fruit’s intense flavour. A cold soak prior to fermentation and the inclusion of 30% whole bunches in the ferment ensured maximum colour and flavour extraction. Co-fermented with 4% viognier (also grown at the Vintner’s vineyard). The wine was plunged daily by hand to extract maximum flavour and colour from the skins. The grapes were pressed in our stainless steel basket press to a mixture of old and new French oak barrels and allowed to mature for 12 months. A powerful nose of rose petals and vanilla. Blackberries and cherries on the palate with fine tannins and a touch of pepper and spice. A lingering soft silky finish. Elegant and refined. Serve with beef, barbequed meats and vegetables, mushroom risotto or rich tomato based pasta dishes.